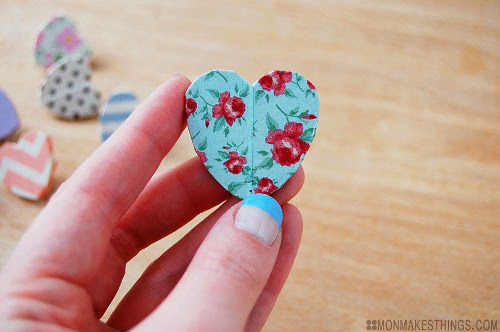 By General Crafts Contributor Monica from the blog Mon Makes Things. I tend to over think things. Anybody else have that problem? Sometimes I make projects super complicated and challenging and it seems like I add a zillion steps that are probably unnecessary. But once in a while I manage to make a simple craft. Like, really simple. Like so simple that I think, “I can’t post this, it’s too simple, it’d be silly.” But you know what? I like when bloggers post simple projects that I could finish in a single episode of television. So friends, this is one of those projects. And it’s still suuper cute! This is another project based on my ol’ pal washi tape. 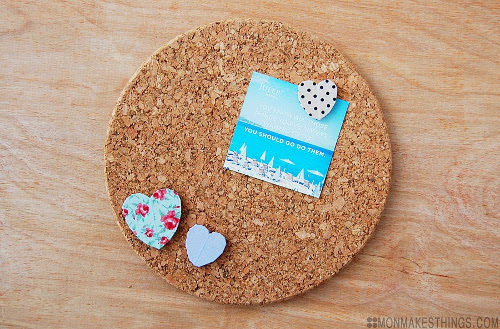 I can’t get enough of the stuff, it adds instant cuteness to everything you stick it on. 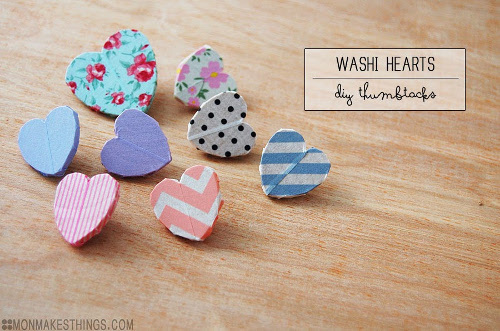 The day the washi tape fad passes (we’re not there yet, right?!) will be a sad day in my craft room. 2. 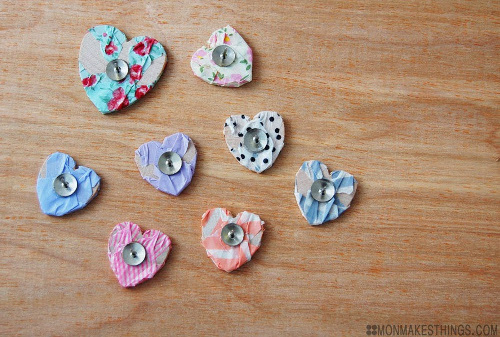 Stick your tape neatly onto the hearts, folding the ends and sides onto the edges and backsides of the wood. If you have excess tape on the back, rip some off as you see fit. Pretty, right?! I initially made these for a baby shower photo board, but now I’m using them in my craft room — you know, for my real life version of Pinterest. 😉 I love how sweet they are, and how customizable! Plus, I don’t know if I’ve mentioned this, but they were SUPER SIMPLE to make. Happy crafting! 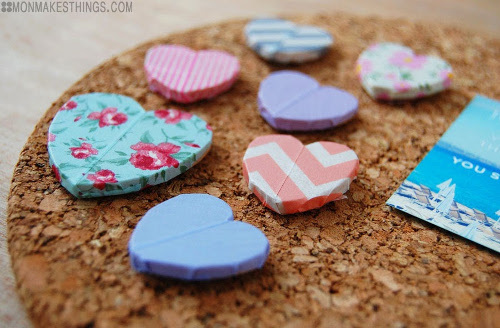 This entry was posted in Crafts, Home Decor and tagged Washi Tape on April 23, 2014 by Monica.